Comment by an elder forester when the Stanfield government held hearings in Cumberland Co. in the early 1960s to promote its plans to clearcut in support of a new pulp mill planned for Pictou and told woods people, “Now you will be able harvest every 50 years”. (Source: an elder from Parrsboro area). Alan Eddy, Associate Deputy Minister of NSDNR and former senior forester with Nova Scotia Power after acknowledging that land was being cleared to feed the biomass boiler at Pt. Tupper, cited in the CH Jan 9, 2015. Ralph S. Johnson, 1986. 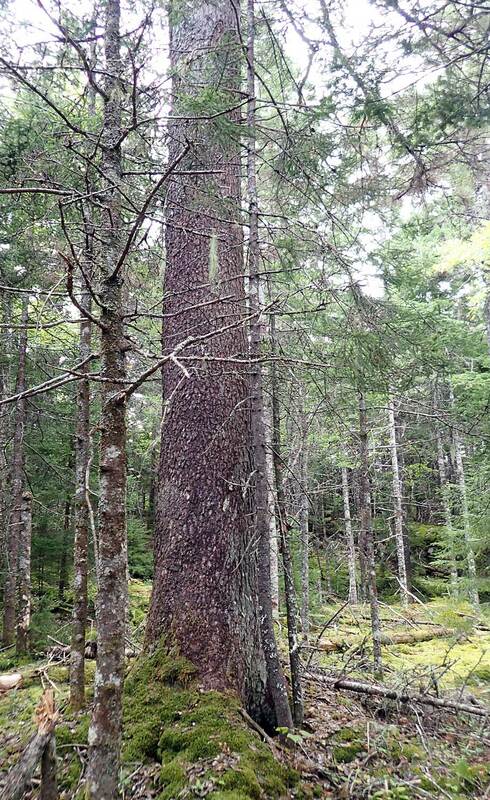 In the Epilogue to his book Forests of Nova Scotia, published by NS Dept of Lands and Forests. Mi’kmaq poet and scholar Shalan Joudry on Connecting to Wapane’kati, Oct 21, 2016. NSDNR Minister Lloyd Hines on CBC Sep 10, 2016. THR:	It was a relief from desk work to get out in the woods, and I always enjoyed hunting and fishing, and exploring I enjoyed most. I never hunted or killed anything just for the fun of killing. I killed for the pot, and when that ceased to be necessary, I gave up hunting. But it wasn’t just the hunting, the catching trout and that kind of thing. It was being in the woods, getting off the road and being in this green world that interested me and got me away from my sea outlook. I came to this part of the country, to this job in the woods, intending to stay not more than twelve months. I wanted to get back to the city. At first I didn’t dare step off the road without a guide, but then I realized that navigating in the woods was no different from navigating on the sea. If you had a map and a good compass and a good pair of legs, you could go anywhere anytime. Once I discovered that, the woods were mine. And then I found a vast relief from my labours at my desk–just to get back in the woods as far as I possibly could. And, of course, it was all grist to the mill. You have to retain your interest in humanity, and you meet all kinds in the woods: the Indians, the lumberjacks, the river drivers, all those people. You talked to them on their own ground and then incidentally you would pick up stories from actual life or the gist of a story. Quite often you would find the beginning of a story, and you’d have to fit it with a middle and an end, and sometimes all you would have would be the ends that you had to bring about. But you find these in actual life, and I found them wherever I went, as far as that goes, on the coast, in the fishing villages, on the river, and in the woods.